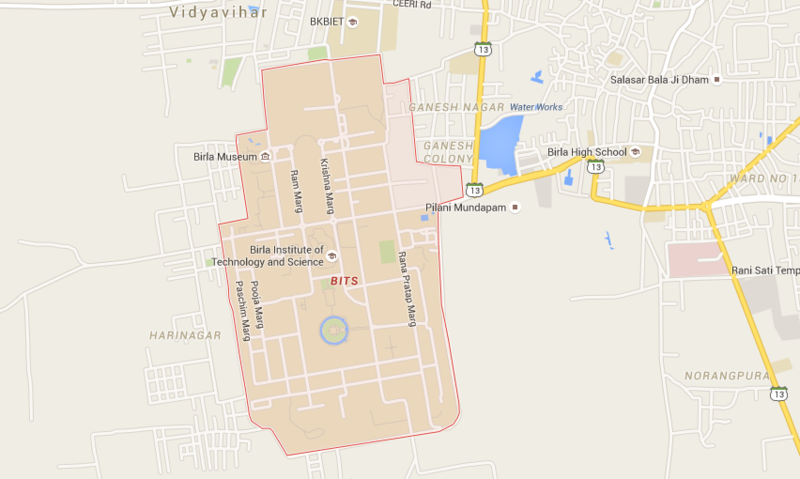 Pilani Campus is located in the Vidya Vihar campus adjacent to Pilani town in Jhunjhunu District, Rajasthan. Pilani is the home town of the Birla family and has a population of about 50,000. It is about 200 km west of Delhi and about 220 km north of Jaipur. The Institute buildings, hostels and residential quarters for staff with neatly laid out roads, lawns and gardens constitute the BITS Campus of about 328 acres.